Zeb and Eider Duck and the humans are going on a multi day bus tour. 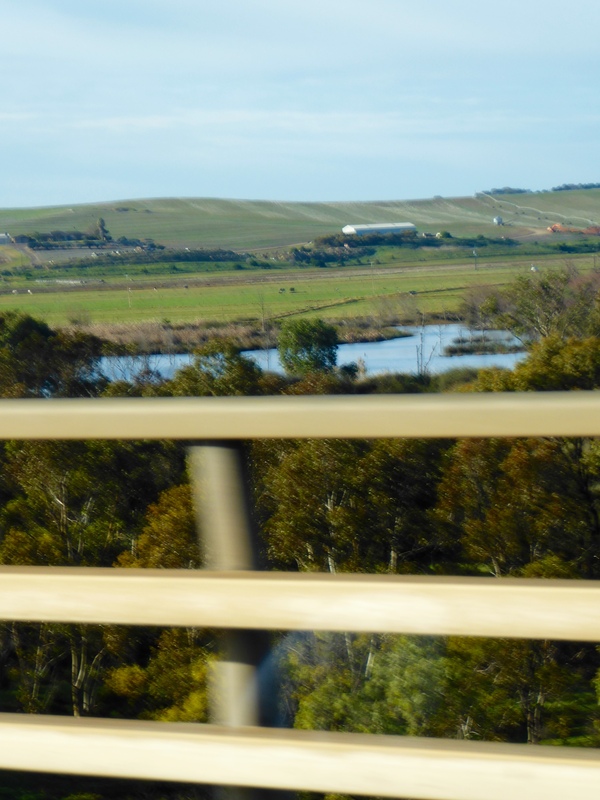 Our guide and driver, Glenn, picked us up in Adelaide and will drive us through the wine country, along the Great Ocean Road and into Melbourne. Leaving Adelaide, the scenery look like we are leaving Denver and heading to the mountains. 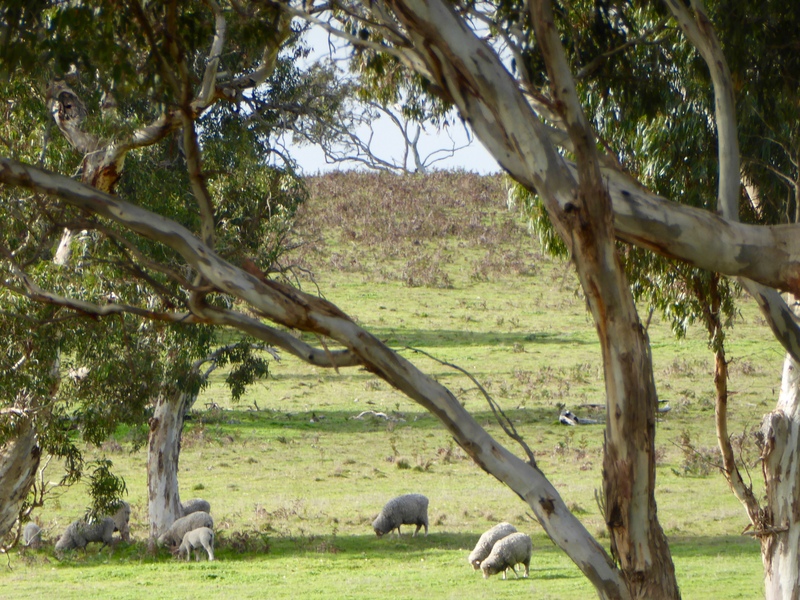 But, soon we were in green, hilly, pasture land. 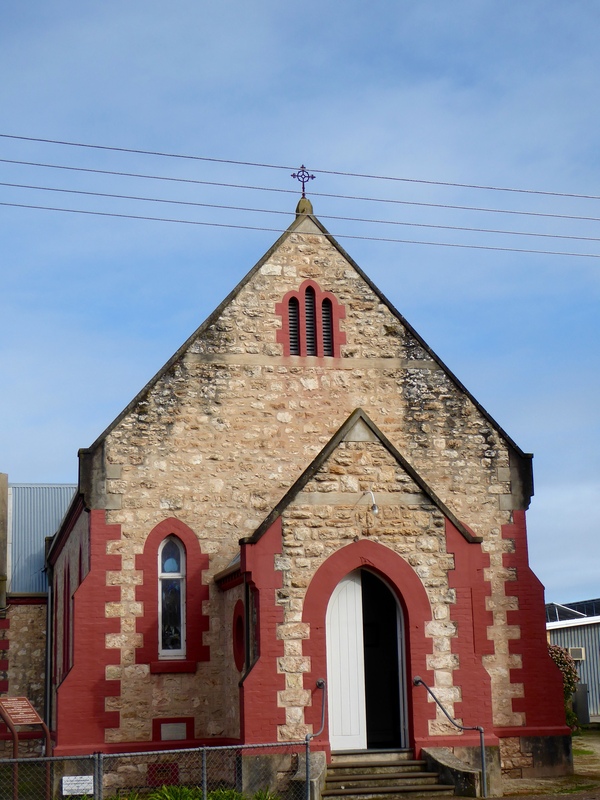 Passing through small villages we admired old buildings such as this church in Keith. 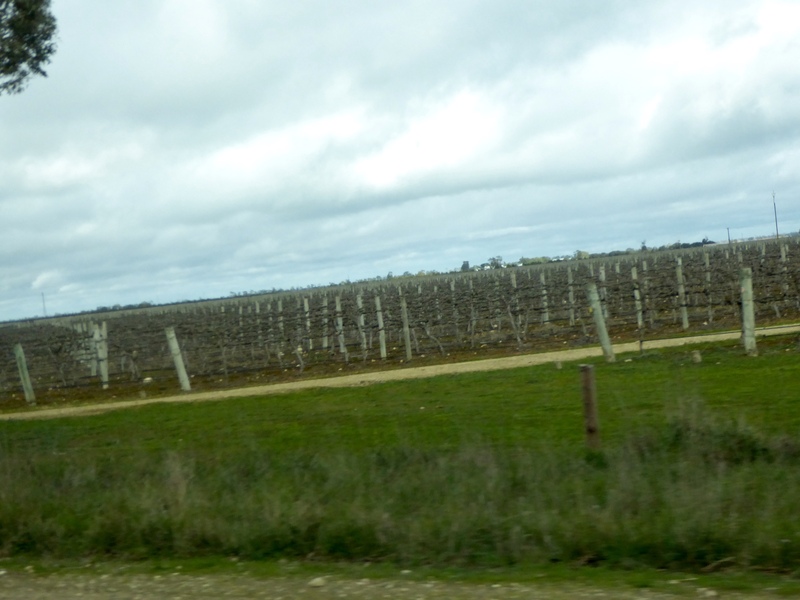 We traveled the Limestone Coast and saw many vineyards. 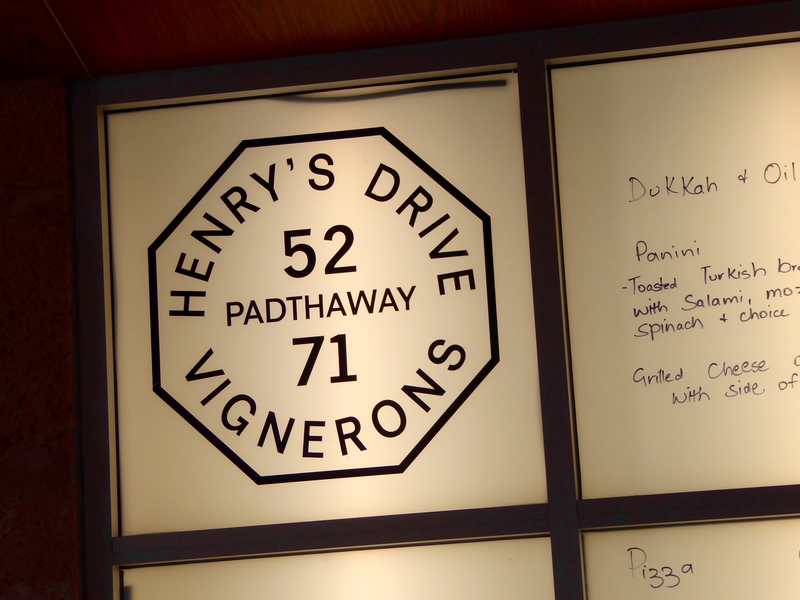 In the Padthaway Wine Region, we visited Henry’s Drive Vignerons. 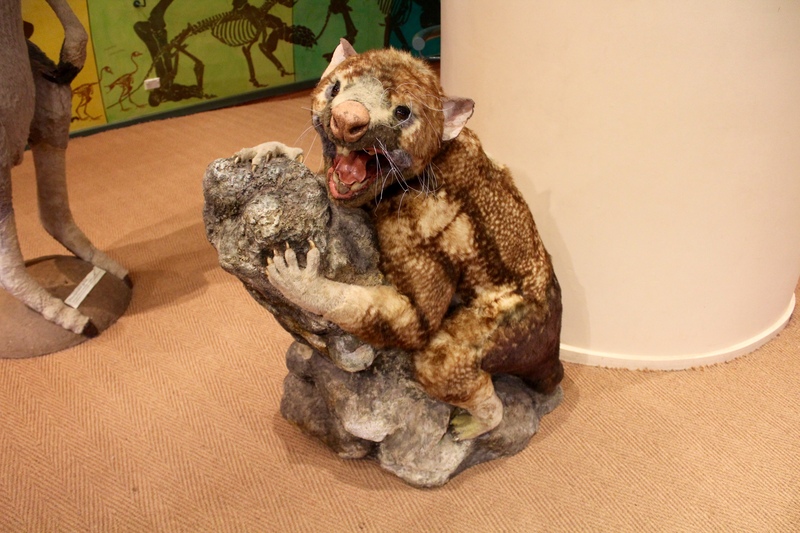 As you can see, the humans sampled some wine. All agreed it was very good. 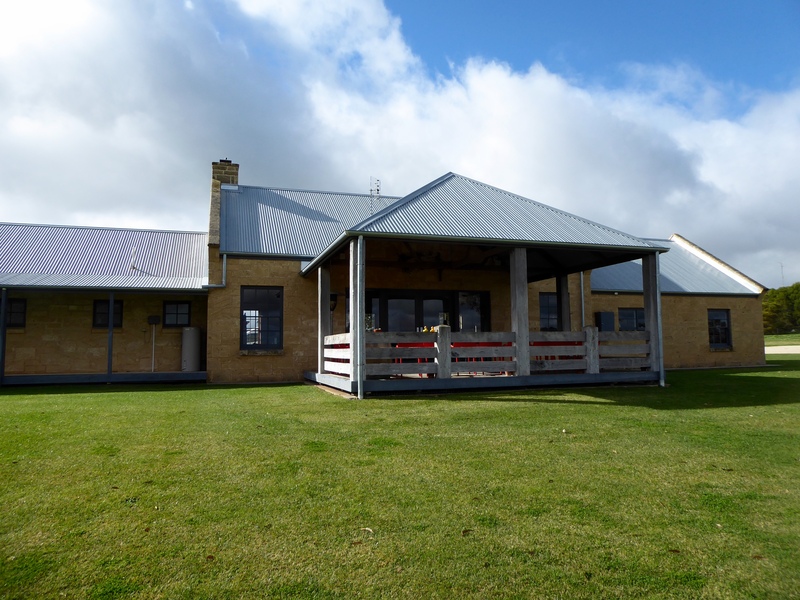 This winery was named after the proprietor of a 19th century mail coach service that once ran through this property, Mr. Henry John Hill. Thus, the symbol on the wine labels. We sampled wine and had lunch here. They grow their own grapes. and also raise sheep here. 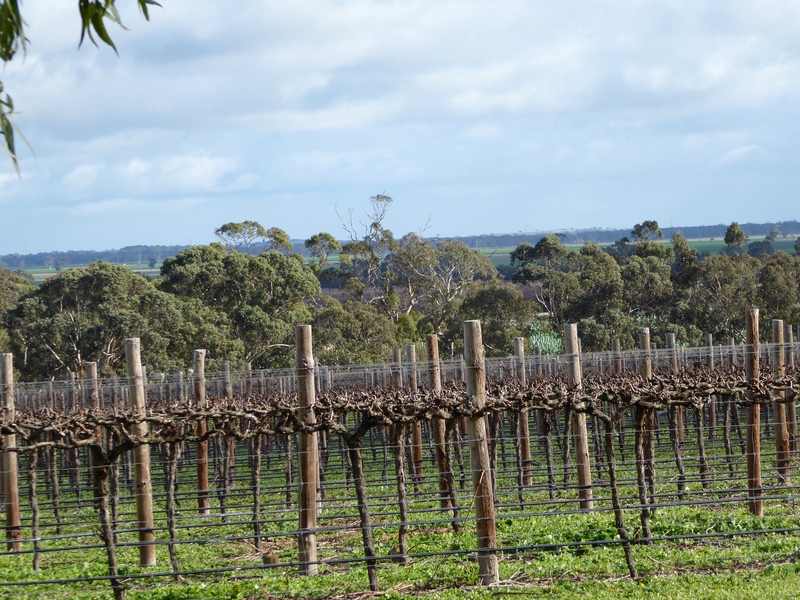 Their first vines were planted in 1992. We liked this winery. 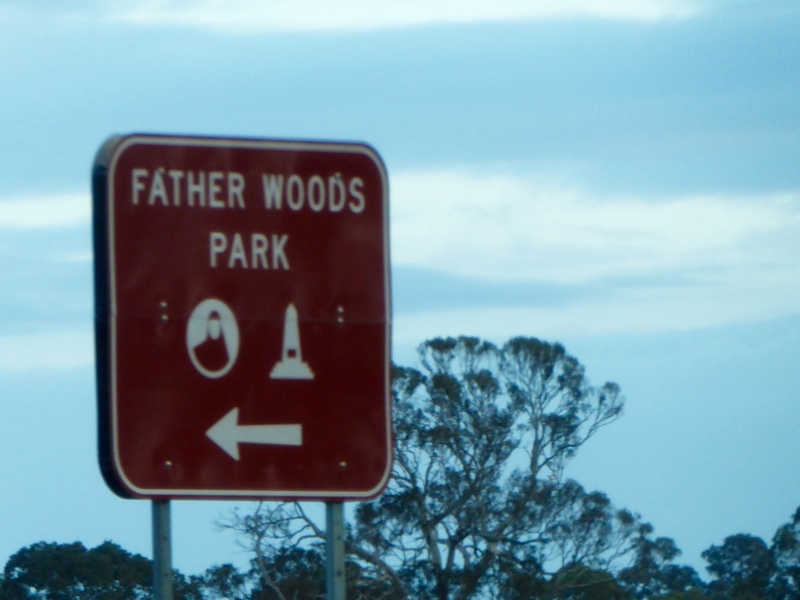 For more information visit http://www.HenrysDrive.com Further down the coast, we stopped to visit Father Woods Park. The wood carving were made with chain saws. 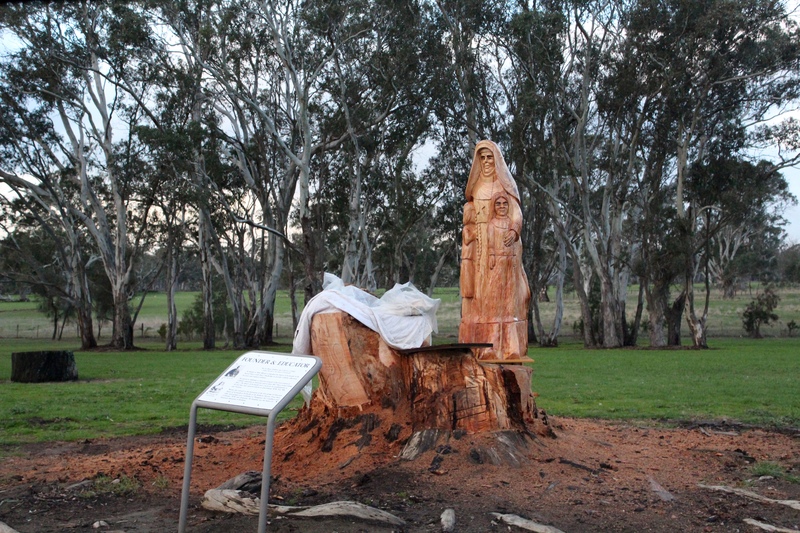 The park honors Mary MacKillop. Mary is Australia’s first and only saint. She was honored by the Catholic Church for her work with children. We liked these carvings. We are all enjoying this bus tour. 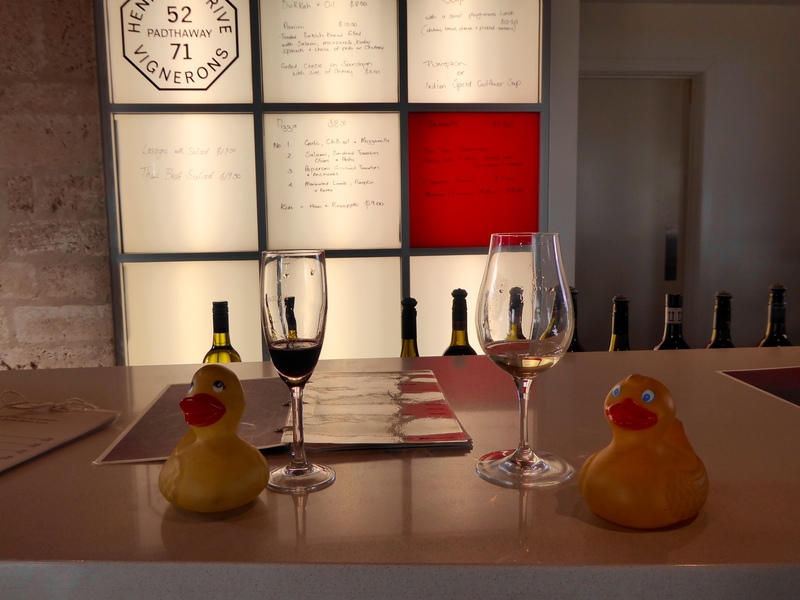 This entry was posted in Uncategorized and tagged Australia, Colorado Traveling Ducks, Father Woods Park, Henry's Drive Vignerons, Keith Australia, Mary MacKillop, Padthaway Wine Region. Bookmark the permalink.